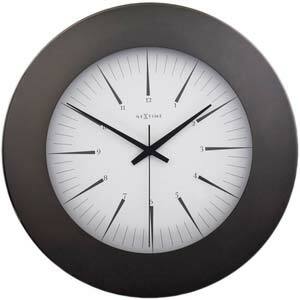 This wall clock reminds us of a compass by its design. Don't be mistaken! This clock in pearly black stainless steel will not be of any help to find your way, but thanks to it you will always keep in mind the notion of time.